It’s not often we come across software that works. 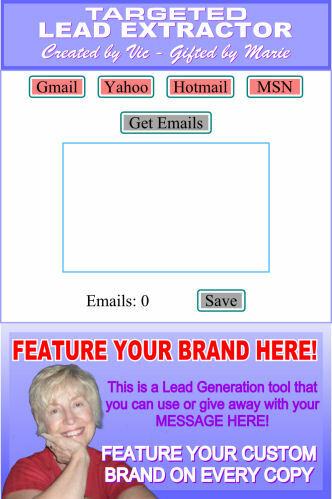 This free targeted lead extractor actually pulls targeted emails from a social site that is dedicated to advertising. Site members have agreed to receive email contacts about other opportunities. So how does it work? Well watch this video and you’ll be able to extract a targeted list of emails to help build your list.